Merry meet again everyone. Today I have a new book for you to consider adding to your library, "The Spiritual Runes: A Guide to the Ancestral Wisdom" by Harmonia Saille. I've been fascinated by the runes since I was a kid, and I blame my Dad for reading us Tolkien for bedtime stories. However my aunt had a set of runes which came as a set with an instruction book, and which (as far as I know) sat on her shelf and never got used. Once or twice I got brave and asked if I could look at them, and though I recognised their magick they intimidated me in a way that tarot didn't. I went so far as to make my own set a few years back, but no matter how many times I tried to learn the meanings and add them to my repertoire, it just never stuck. Which brings me to this book. The first thing is it is beautifully written. Harmonia Saille clearly knows her subject and is able to explain everything in such a way that it is easy to understand yet left me feeling a sense of the power and potential of runes to help us understand our path. As someone who has always been drawn more to Romano-British mythology than Norse, I found her information on the different runic systems and the mythological understanding upon which the runes are built valuable as it grounded the runes into a reality I could understand. 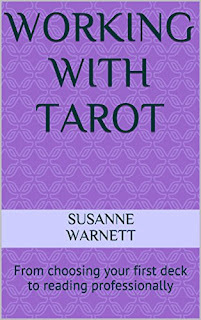 In terms of content, her book focuses on the Elder Futhark and covers the history and mythology of the runes, offers really good visualisation exercises to help you connect with your intuition and the runes, and also looks at the cosmology and psychology, explaining how Jungian theory such as archetypes, synchronicity and The Self relate to using runes. Chapter 4 is all about the meanings. She breaks the runes down into their aett and goes through them individually. Each rune is pictured, then its name, translated meaning and element are listed. Next she gives us the appropriate stanza from the Old English Rune Poem and what this means for that rune. She then details the meaning for a reading, and gives keywords, counsel and suggests an appropriate colour association. 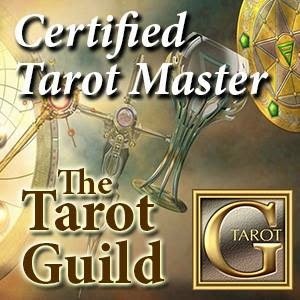 Again everything is taught in an easy way that makes total sense and allowed me to understand the social and spiritual meaning in a way that I've never been able to before. I think this is the most important aspect: learning each rune cold only teaches you what each symbol means, but Harmonia's technique takes that theoretical knowledge and grounds it in reality, giving it a heart and a warmth that demonstrates how the runes aren't separate entities but are a part of our social and practical life. I really like this book as a fantastic lesson on runes. It is very well written and doesn't drown you in mythology but gives you exactly what you need to understand how to really appreciate and use runes as a tool. The exercises are very powerful without being overly complicated, and I'm really looking forward to finally connecting with my runes until I am confident enough to try some of the rune magick at the end of the book. "The Spiritual Runes: A Guide to the Ancestral Wisdom" by Harmonia Saille is published by O Books and is available now.